Terrace Park Recreation Commission, Inc. This is not a run registration. Register between 2 and 8 people in a single transaction. Packet pickup will be August 31st and September 1st at Tri-State Running Mariemont Store or on race day at Village Green. Follow Rt. 50 to Elm Avenue in Terrace Park. UDF will be on the corner. The Gazebo is located at the intersection of Elm, Terrace Place and Amherst. On-street parking is available. & under, 11-14, 15-19, 20-29, 30-39, 40-49, 50-59, 60-69, 70/over. This 5K Run/Walk begins and ends at the Gazebo. Proceed on Terrace Place toward St. Thomas. Right on Cambridge. Right on Miami. Right on Amherst. Left on Lexington. Right on Stanton. Right on Yale. Left on Amherst. Left on Floral. Right on Stanton. Left on Elm. Right on Princeton. Right on Poplar. Right on Stanton. Left on Elm. Finish at Gazebo. Course is USATF certified. Complete Results emailed within 2 days. 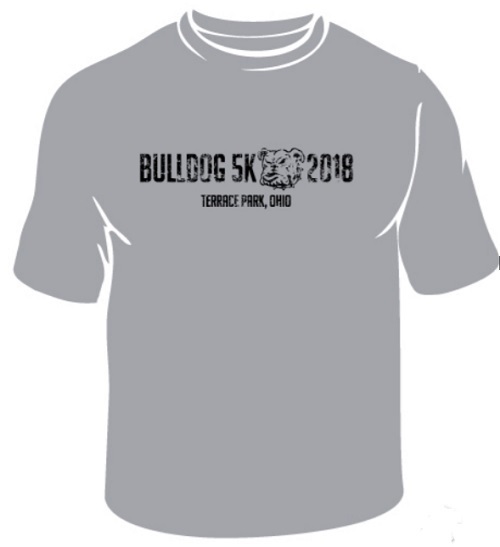 Proceeds benefit Terrace Park Recreation Commission, Inc.
For event-related questions, please click on the *Contact the Organizers* button on the left-hand side of the page. When this page loaded, the official time was 11:49:58 PM EDT.